Travelling abroad with your little ones for the first time can bring on all sorts of stresses and worries. I can remember all the thoughts going through my head as our first family holiday abroad drew nearer. Our son was eight months old and I fretted about everything from the flight, to food as we were weaning and the weather. I wish I’d had a list of tips for parents embarking on their first holiday abroad with kids to help ease those worries and to maybe remind me to keep certain things in mind. Well, for those of you facing your very first family holiday abroad, I’ve got you covered. To go alongside my Awesome Tips for Flying with Babies and Toddlers post, I wanted to get some insight from my fellow travel bloggers as to what tips they would share with parents who were facing their first holiday abroad with kids. As for my biggest tips for parents about to go on their first family holiday abroad, I would say firstly relax and secondly, plan what you can but be prepared for those plans to go out the window, especially with young kids in tow. I covered this somewhat in my tips for flying with babies and toddlers post and I couldn’t agree more with Char and Carla. and also suggests getting a bigger room or family suite, so when the kids go to sleep, you have your own space other than the bathroom. A bigger hire car will also help reduce the stress of playing Tetris with bags and kids. Meanwhile, Carla-Marie from My Bump 2 Baby also pays for convenience. On a recent trip to Mexico with their 20-month old, they looked for a resort with a baby club as well as a good bar. She wanted some reassurance that she and her partner could have some time away together if they needed it. We had a great time and in the end, we barely used the baby club at all, but it was nice to have the option. that the harder they work, the more they can reap the benefits later on. Packing for that first family holiday abroad is probably one of the biggest points of stress for any family. Whether it’s a beach holiday or a ski holiday, many families worry a out what to bring and what to leave behind. and she’s totally right. The amount of times I’ve packed loads and not worn half of it is too many to count! Even BattleKid hasn’t worn all the items of clothing I’ve packed on many a holiday! Emma from Me and B Make Tea says to never forget the Calpol. We took our son away to Lanzarote at aged 9 months and one day in he had a raging fever. I was so pleased we’d taken plenty of Calpol. Despite having great plans in place for your holiday destination, sometimes you need to just take it easy, especially with kids in tow. During our two-week USA road trip, I made sure we had some down time after our long travel days as I knew both us and our son would need it. Take it easy and go with the flow if you can as kids might need more down time in a new place than you think. If you’re a planner and can’t help yourself, have a bunch of ‘ideas’ ready rather than ‘must dos’. While Jodie from Jodie and Finn suggests you not only make sure you’ve got a nice room with a balcony and view for the evenings, you shouldn’t worry about routine. We ruined the first few days of our first family holiday as we tried to stick to routine, so just go with the flow. We did exactly the same thing during our first family holiday abroad to Gran Canaria, so much so we didn’t enjoy it and went home 3 days earlier than planned! While in a new country it’s good to check out the local culture and food, even with kids. Then consider taking a private tour. Having a dedicated driver can be very helpful – they can recommend shops, safe places to eat and help you with any problems that might crop up. This leaves you able to enjoy yourself and entertain the kids stress-free. Victoria from Fabulous Mummy says to remember to shop locally and don’t be afraid to let your kids try local food. They were in the middle of weaning so took loads of little tubs and baby spoons with them and found lots of fresh fruit and yogurt for their baby. 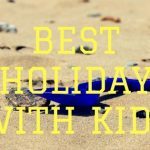 Despite some of my fellow travellers saying to go with the flow when it comes to your first family holiday abroad, there is still an element of planning that you really should do before you travel. One of the biggest tips that came through when I asked my fellow travel bloggers was to bring snacks, particularly for the flight. Hannah from Adventure Travel Family says that bringing some of your kids favourite non-perishable snacks from home such as dried fruit sweets or cereal will help ease them into the new foods at you holiday destination. as airlines often allow you to take a car seat or buggy at no extra cost. It will save you a lot of money taking your own car seat rather than hiring one. there is nothing worse than being stuck in a hotel room with hyper kids at 3am. Nicolette from Archie and the Rug says try to plan to travel with bedtime so they can sleep through. They may flop on you and you might not be rested but your kids will. jot down the local emergency number/hospital before you go. Also, screen shot your passports and email yourself a copy in case they ever go missing/stolen and you need to prove your identity. And for more helpful tips about flying and holidaying abroad with kids, check out this great post from Eva at Captain Bobcat. With tips about the flight, packing and dealing with jetlag, it’s a must-read for those about to embark on an overseas holiday with kids. These are the top tips my fellow travel bloggers would give parents about to head off on their first holiday abroad with kids. 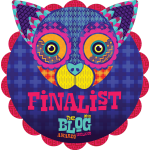 There’s even one or two I hadn’t thought of myself, so I’m so glad I asked for their help with this post. I hope you find this post helpful and if there is anything you could add to the list, share it in the comments below! Some great tips here which I bet parents will take a lot from! I think staying local and not packing too much are two that would really help to not overcomplicate things and make things too stressful! Some really great tips here, I especially like the one about getting your kids to do some chores to earn their holiday money. Very clever, in many ways! I know, I’m going to use this when our son is a bit older! These are very well thought out tips, I remember feeling quite overwhelmed with all the packing decisions when ours were small. Fab tips here. I like paying for the convenience when travelling with kids. With Monkey we drove down to Italy for our first holiday he was about 15 months. By the time we had Kipper I had decided we had it bailed and flew to Spain when he was 4 months. I think the toddler years are harder when travelling as it’s kerping them still on the plane. We are off to Portugal n a few months and I’m a little worried!! I could really have done with this one month ago before our trip – it”s all a learning curve though I suppose! Completely agree with paying for convenience, so worth it in the long run. These are great tips. The number of friends who have commented that they can’t believe we travel with kids overseas is huge, but really it just takes a bit of extra planning. What perfectly wonderful tips! Completely agree with all these. A little bit of planning goes a long way and it’s always good to adopt a slower pace with little ones. We did our first holiday abroad last year with the kids and I must admit we did pay for a couple of extra things to make life easier for us! Great tips!